Gayla Lemke was born and raised in a small farming community in Oklahoma. She escaped by joining the Air Force upon graduating from high school. She received a B.F.A in Printmaking from the University of Hawaii, a Masters of Art from the University of South Florida and is a long time member of Edge Gallery, one of the oldest co-ops in Denver. Gayla Lemke has been an active studio artist for many years. Gayla began her art journey as a printmaker and began to work seriously in clay when she moved to Colorado in the early 90’s. Gayla teaches ceramic sculpture at the Art Students League of Denver, where she served on the Board of Directors from 2009 to 2016. Her home and studio are in the foothills southwest of Denver, Colorado. Gayla Lemke works in several disciplines including sculpture, printmaking, drawing and painting. 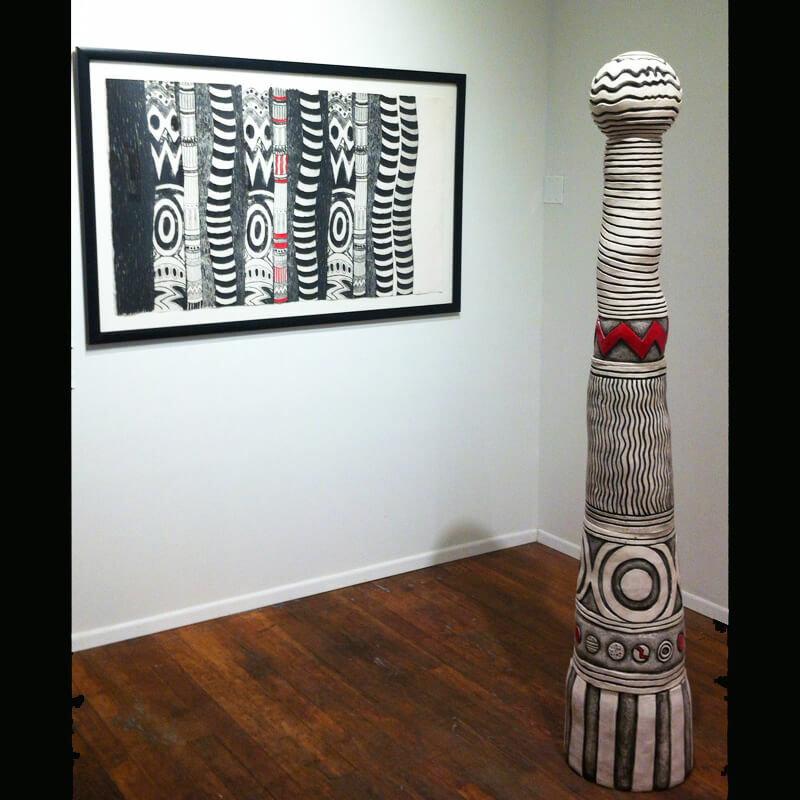 Her primary focus for many years has been ceramic sculpture, exploring figurative, abstract and installation work. In each of these areas, Lemke incorporates her skill at draftsmanship into her work with carving and attention to surface treatment, often utilizing other materials, objects and text. Her work tells a story, be it literal or symbolic. Conceptually, Lemke’s work has grown from personal narrative to more universal, social and political themes, most often reflected in her installations.